During the month of October Customized Girl has promoted and helped raise funds for breast cancer awareness. For the past three years, we offered a promo code that donated 10% of orders to the Stefanie Spielman Fund for Breast Cancer Research. We have successfully raised over $10,000 for this cause. This year we had the pleasure of teaming up with Miss Pink Pageant! We discovered Miss Pink Pageant through our storefront platform. We gained more information about them through their website and loved all the different ways they were helping those with breast cancer. At that point we knew we had found the organization we wanted to partner with for 2015. With the utilization of our storefront platform we were able to raise $1,062.35 in the month October for Miss Pink Pageant! We want to thank EVERYONE who purchased a breast cancer shirt. Your contribution means everything to Customized Girl and Miss Pink Pageant. We could not be the advocate for breast cancer awareness without your incredible kindness and donations. While the month of October has ended the fight against breast cancer remains. 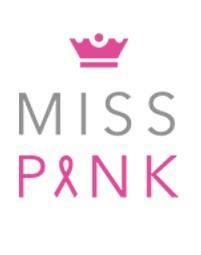 Continue to support the fight and raise awareness by purchasing designs from Miss Pink Pageants storefront. This amazing community helps breast cancer survivors and their families and by supporting their storefront, you are aiding them in their mission. Every year we want to make Pink Wednesday’s bigger and better. Let us know about your Pink Wednesday experiences and photos so we can raise more awareness for breast cancer!